I was first introduced to Conzace 6 months ago. That’s when a cosmetic dermatologist told me to take this multivitamin to help speed up the healing of my skin problem that I was complaining about. He said I should take Conzace once a day on top of the skin medications he prescribed. He also said that Conzace will make my hair shinier and healthier because it has Vitamin E.
My skin problem has long been healed, but I didn’t stop taking Conzace because I noticed during those months that I was taking Conzace that I never had cough, colds or fever. That was the opposite of what happened to me last year when I was just taking Vitamin C every day. If my memory serves me right, I think I had two bad cases of cold/flu in 2011 which I attribute to stress and lack of sleep. Now, that got me wondering. Why did I not get sick when I was taking Conzace as compared to just taking Vitamin C every day? I did online research to satisfy my curiosity, and these are the answers I got. The white blood cells are our body’s soldiers. They protect our body from invasions by bacteria, viruses, fungi and parasites. They also defend our body against infectious diseases. Weak white blood cells cause weak immunity, so it’s important that our white blood cells are constantly replenished. Vitamin C, which is what all of us are taking to boost our immune system, develops or matures white blood cells, but Zinc plays a more primary role in the production of white blood cells. This means that Vitamin C alone is not enough. 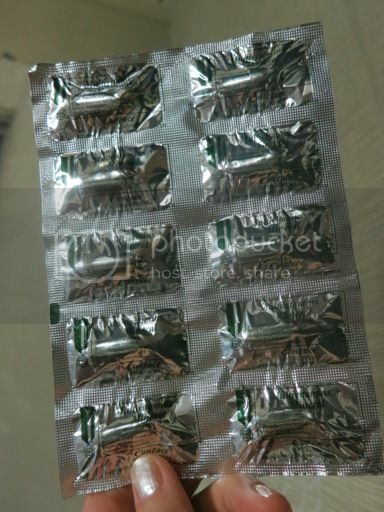 •	25mg of Zinc that multiplies white blood cells so that we can have the right number of white cells to defend us against sickness. Vitamins A, C, E and zinc are antioxidant nutrients that protect cells from harmful free radicals and help boost our immune system. Because of my positive experience with Conzace, my husband is also taking this multivitamin daily, too. 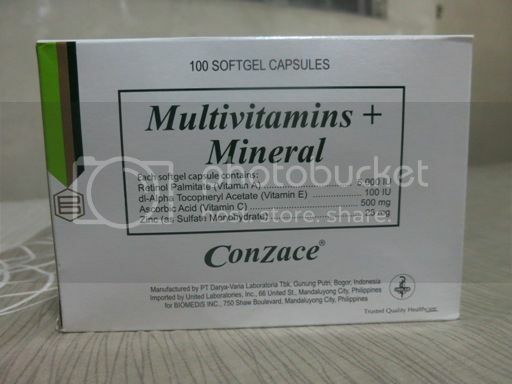 Conzace is a soft-gel multivitamin. It is sold in leading drugstores nationwide for Php12.40 per capsule. It can be taken in the morning or at night on a full stomach. This entry was posted in Conzace, Multivitamin. Bookmark the permalink.